It is nice when you have a hot tub inside of your bathroom so that anytime of the day. You can find some time to take a dip and relax in it while enjoying the comfort and the privacy of your home. But recently a lot of people has favored putting their hot tub on their backyards or in their patio, and why not? You can enjoy the heat of sun while you are having the time of your life being massage by the jets of your tubs. And the beautiful view that you get to enjoy while you are immersed in your tub can also add to that relaxed feeling. There are now a lot of portable and outdoor hot tubs that are available in the online and offline market, but here are some of the best outdoor jetted tubs you can find. Arctic is a brand that is well known to build the best outdoor hot tubs, spas and portable pools. That can perform at its best even when exposed to the harshest climates. Their products are well known to withstand any type of condition outdoors. 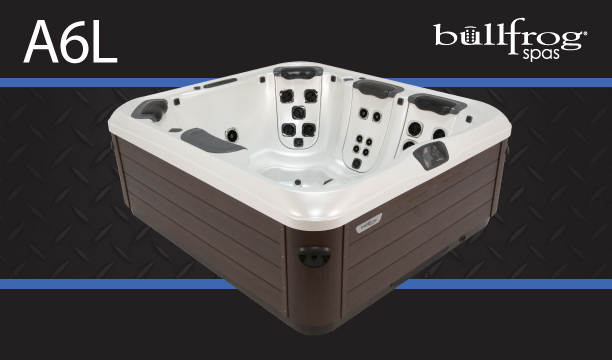 Arctic has a lot of hot tubs that they can offer, tubs that comes in different sizes. Made for different kinds of people and families of different sizes. But one thing is for constant with all the hot tubs that Arctic created and manufactured. They can definitely give a luxurious and a good massage. That will melt all your worries and aches away. Their hot tubs has up to sixty one jets that will work miracles on the different parts of your body. Sixty-one jets that are now composed of four different type of jets that are placed in the tub. With the specific work to perform to make sure that you will get out of that tub revitalized and re-energized. Arctic also makes sure that their outdoor jetted tubs are well designed. In such a way that it will look good when placed in any part of your backyard or patio. And that it will add to the attractiveness of your home. If you live on your own but love to always have friends over to spend a chill weekend or night with. Or if you have a small family and loves to bond over the relaxing jet of a hot tub working on your tired souls. Then this hot tub could be the perfect one for you. Four people can immerse into this tub but it can fit and can still handle up to six numbers of people. You may not be able to sit that inside this tub when you have over four guests over. But don’t you worry because all you can still enjoy the full works of this hot tubs jet. That is because when customized, this tub can have a total of a hundred and seventy-seven jets in it! No kidding! The four seats of the hot tub each has a jet-pack with comfort pillow. There are also jets lurking in every corner of this tub. Making sure that it can reach you wherever you might placed in. There are also jets that are also made for the feet, your hip, legs and even for your wrist! This hot tub wants to make sure that you are well massaged and feel relaxed and light when you step out of it. This hot tub is a star, also because it shines in the middle of the dark night, thanks to its lighting system. You can also enjoy a good music while enjoying the spa. Because there are ports available for your MP3, iPods or for a Bluetooth. The length of this tub is seven feet and four inches and its width is six feet and eight inches. And it can hold up to three hundred and fifty gallons of water. This outdoor, jet packed tub is best to use with family and a small group of friends to relax in after a hectic day. Or week at the work or school, its many jets will make sure that you get the pampering that you deserve. The CalSpas Platinum Hot Tub can fit in six people to enjoy the massage of it jets. It has more than enough number of jest to make sure that the six people’s aching muscles gets the massage that they are looking for. After long and stressful day that they had doing work or school stuff. There are sixty jets in this outdoor hot tubs. Each seat inside the tub can give a different spa experience. From the other because they have varying number of jets each. The bottom part of the tub also has a set of jets to make sure that they do not leave your feet unpampered. Each seat has their own pillows for your neck and shoulder. To make sure that you are very comfortable and relaxed while letting the jets massage. And take away all the tiredness and aches you feel all over your body. This hot tub also has an amazing lighting system because it comes with an LED package. When you dip in the tub during night time, you can enjoy different colors on the hot tub. Depending on what color you may fancy or which color you think fits your current mood. There are also a selection of color that you can choose from for the tub’s cover, cabinet and interior shell. There is one lounger seat in the tub a five standard seats that are positioned upright. And the tub can take up more space than the standard hot tubs that a for six persons that you can find from the other manufacturer. But that is only to sure that the users have a lot of space so that they can be comfortable. The tub has the capacity to hold about 425 gallons of water. And can operates at 24o volts for the total voltage. Their different warranties that you can get for this hot tub. Covering the different parts of this unit, its shell structure has a warranty of ten long years. while the plumbing, equipment, controls and cabinet has five years warranty.